The sticky, sweaty days of summer demand comfort. Softness, coolness and breathability all come to mind. Your clothes should have those qualities. Cotton is the most popular choice for summer, but the best choice is bamboo! Bamboo is the softest, coolest, most renewable resource on the planet. Welcome to the ‘Balmy, Bamboo Summer’ Giveaway, where 1 winner will win $100 to Cariloha, makers of ridiculously soft clothing, bedding, and bath accessories! Hosted by A GAL NEEDS… and Co-Hosted by Parenting Healthy! lifestyle of the islands and the beachfront shopping experience. 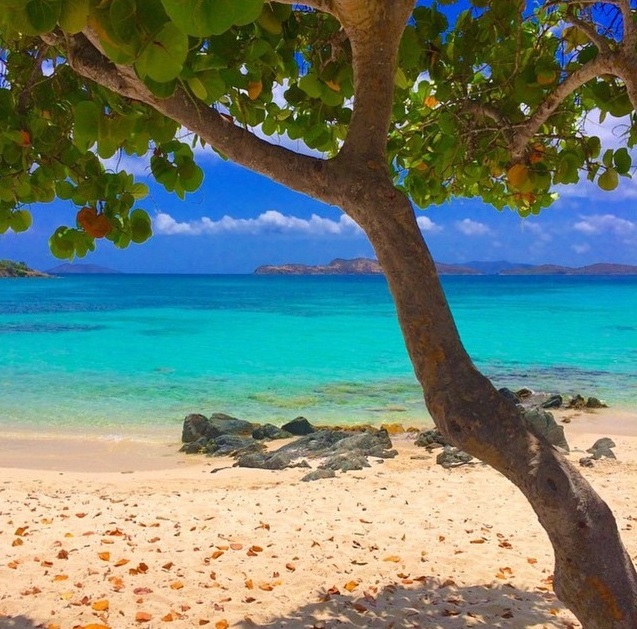 enjoy the islands day in and day out. Now you can feel like you’re on vacation everyday with Cariloha bamboo clothing, bedding and bath. 20% OFF Special! Special Discount Code – Receive 20% off on all Cariloha products now through July 12th when you use GALNEEDS20 at checkout! 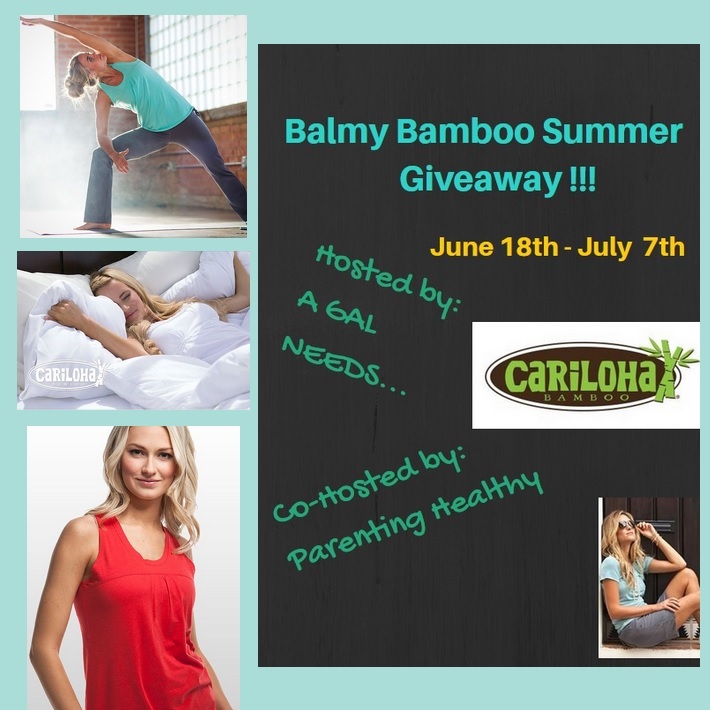 Giveaway – One winner will receive a $100 Gift Code To Cariloha! entries you complete, the better your chances are for winning! compensation for the facilitation of this giveaway. in the Rafflecopter below. Good luck! Next post: Art Frames your life. Love your art. Frame it right. i just love the Bamboo Throw Blanket – Harbor Gray !! Thank You for the giveaway… we like the Bamboo Bath Sheets. I would love to have the Classic Bamboo Bed Sheet Set- Ivory. I would love to try the bed sheets and bamboo V-necks! I like the Bamboo Maxi Dress- Black. I’d love to have one of the Bamboo Scoop Tees or the bed sheets. I would love some new sheets. I like the white bamboo bathrobe. I would love to try the bed sheets. I would like to have the Bamboo Knit Throw Blanket – Sand. I love the Bamboo Duvet Cover – Blue Lagoon. I would love it for my bed! The 2-in-1 dresses are nice. I would love the Bamboo Racerback Tank – Orchid Bloom. I would love to have the bamboo sheets. I would like to have the Blue Lagoon Resort Bamboo Bed Sheets for my bed. I like the Bamboo Striped Pocket V-neck – Blue Lagoon. I would like to have the Bamboo Throw Blanket – Ocean Blue. I’d love some sheets in the graphite color! V-neck tee, Hibiscus Sketch in Coral Red. I would love to have sheets and towels. I have been eyeing this site for a while. 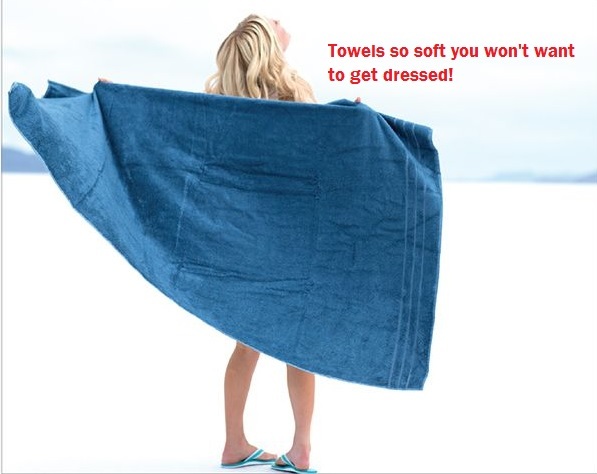 I like the Bamboo Bath Towel – Blue Lagoon. Resort Bamboo Bed Sheets – Blue Lagoon in California king size. It is so hard to find cal king and these sheets look so soft. I would like Bamboo Dolman – Hibiscus Sketch – Jade. I would love the Bamboo Dolman in coral red. Looks so comfy! I love the blue lagoon duvet cover. I would love the bamboo womens genesis dress! so pretty! I would love so many of their pieces to be in my closet. One in particular is the Bamboo Fitted Yoga Pant in black. Bamboo Receiving Blanket – Dots is the item I would want. Bamboo Scoop Tee – Plum. I would want to get something from the fitness section. Probably the shorts or V necks. I’d love to have some bamboo sheets! I would get some sheets and towels. I would love to have a set of bamboo sheets! The bamboo scoop tee is totally cute. The towels! I would love to try the towels! They look like they can be very soft! 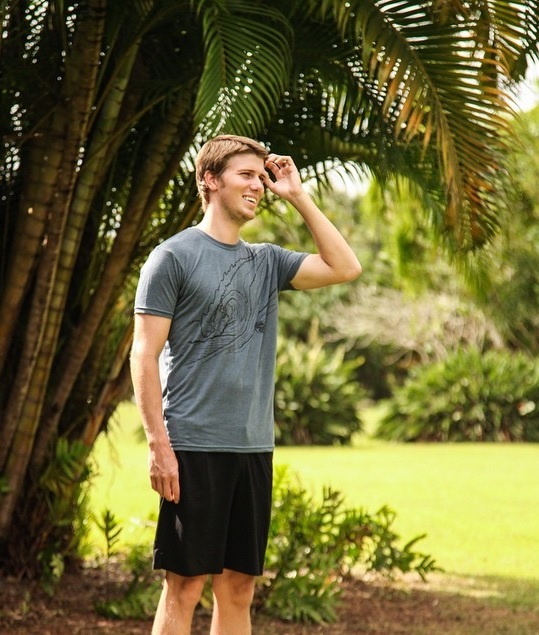 I would love to have the Bamboo Scoop Tee in Plum. I would love the 2-in-1 Dress – Coral Red! I would love the Resort Bamboo Bed Sheets – Island Spa. I would like to have the Resort Bamboo Bed Sheets – Island Spa. I’d love to have some bamboo sheets. I heard how soft bamboo sheets are and would love to try them. I have always wanted to try their sheets. I bet they are so soft! I would get some bamboo V-necks to add to my work out tops.